Βαθμολογήθηκε από επισκέπτες, μετά από τη διαμονή τους στο Aitutaki Lagoon Private Island Resort (Adults Only). 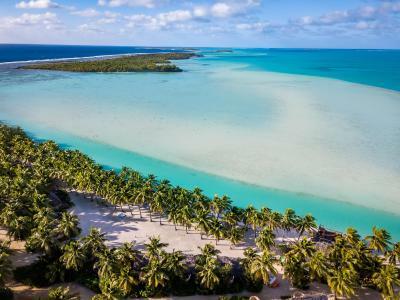 Εξασφαλίστε μια εκπληκτική τιμή στο Aitutaki Lagoon Private Island Resort (Adults Only) - με βαθμολογία 8,5 από πρόσφατους επισκέπτες. 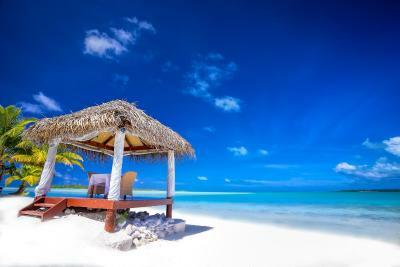 The staff are lovely, the food was great and the location of the resort can’t be beaten. 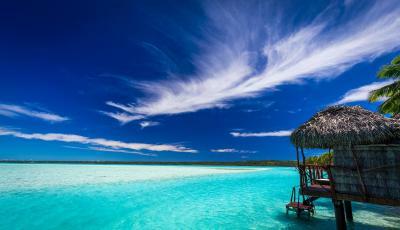 Location- lagoon is emerald green and very beautiful. Setting is spectacular. 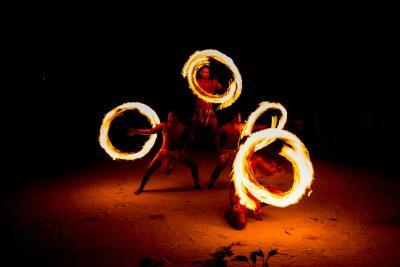 Great for photos and lagoon is amazing. 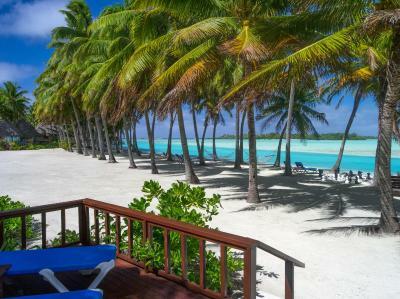 It goes without saying that the view was fantastic and the beach and surrounding lagoon were amazing. 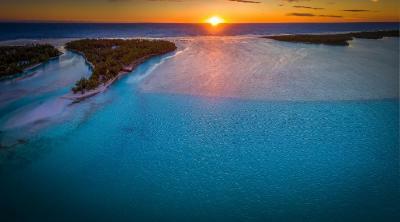 The fact that the area is part of a protected reserve meant that there was plenty of fish and marine life to see. The resort also had program to minimize their impact on the environment by allowing you to opt out of servicing/cleaning the room on any given day, earning a $20 room credit. I thought it was a clever, well-implemented program for a good cause. By only servicing our room once in our 6 night stay, we essentially earned ourselves a free dinner. The staff were fantastic and so helpful. There were bicycles for use on the island and you could take them on the ferry off the private island and ride to the Boat Shed or Koru for lunch/dinner. 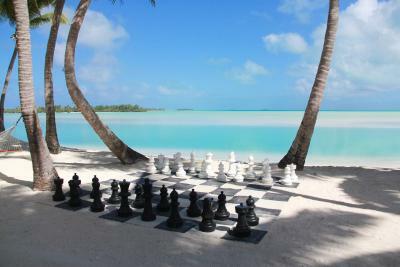 Stunning cruises and snorkeling tours available from the resort. Easy to book through reception. A daily newsletter was delivered to our room every afternoon with activities for the next day. Lots on offer, local weaving/lei making lesson, local language lessons. Monday night manager's meet and greet with free food and drinks. Lots of fun. 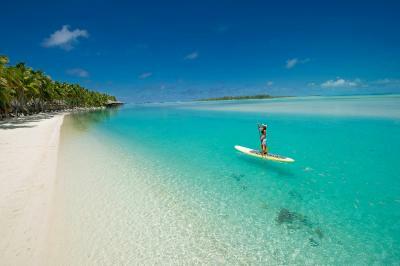 Aitutaki is well worth a visit, such a beautiful place and the people are so warm and friendly. Really, really liked the staff. They were ALL really cool, friendly and helpful. 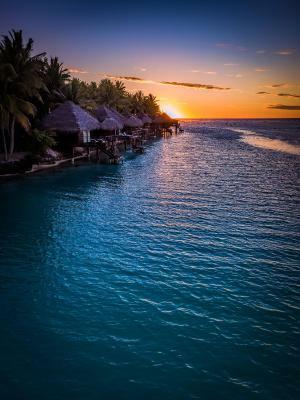 Aitutaki overall is beautiful and so is the Resort. We loved our room - got the room with a private pool - bit pricey but thats what we choose for this special occasion so no surprises there. 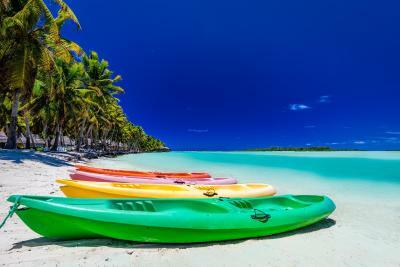 Free use of equipment - bikes, kayaks, paddle boards etc. Good overall. 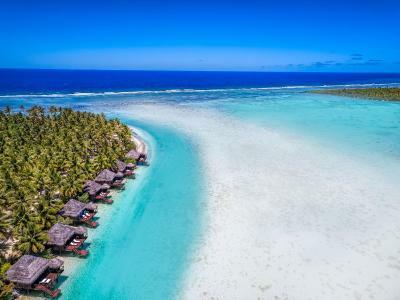 Κορυφαία επιλογή σε Arutanga.Situated on its own private island, this luxury resort offers beach-front and over-water bungalows with panoramic views of Aitutaki Lagoon. 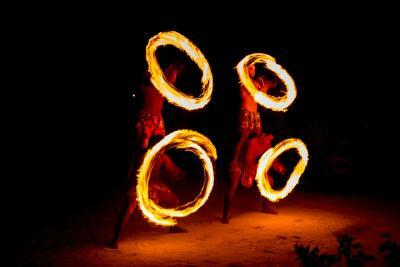 Facilities include a restaurant, bar, day spa and beachfront pool. 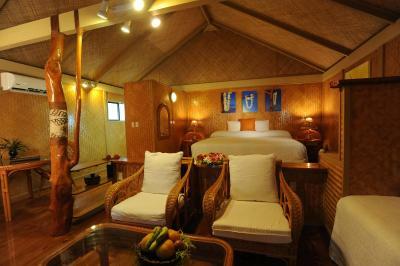 Each bungalow is air-conditioned and features satellite TV, DVD player, refrigerator and a veranda with sun loungers. 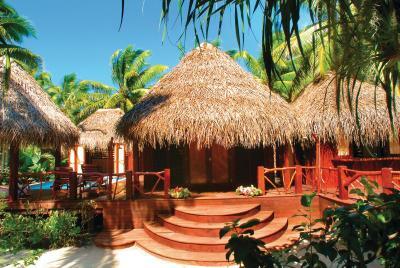 Bungalows with open-air showers and direct access to the lagoon are available. 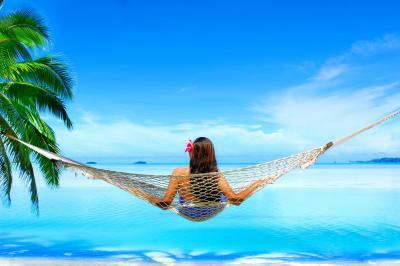 Continental breakfast is included each morning, with fresh fruits, baked pastries, cereals, juice, tea and coffee. 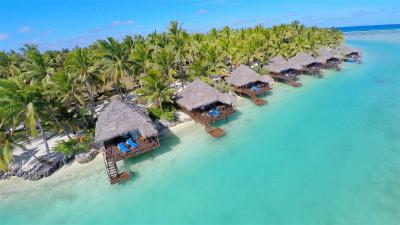 Guests at Aitutaki Lagoon Private Island Resort (Adults Only) enjoy free stand-up paddle boarding, kayaking, canoeing, snorkeling and cultural activities. 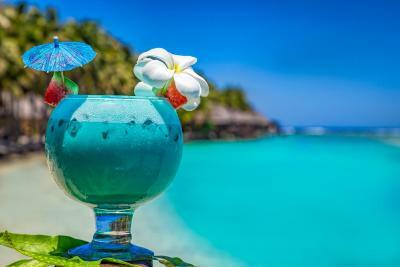 Flying Boat Beach Bar & Grill features views over Sunset Beach. Bounty Brasserie offers seafood platters or a tasting menu with matching wines. 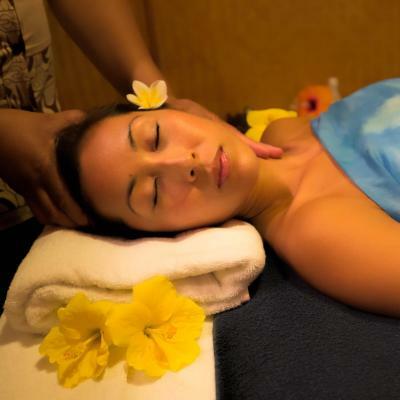 The day spa offers massages, a sauna and a hot tub. 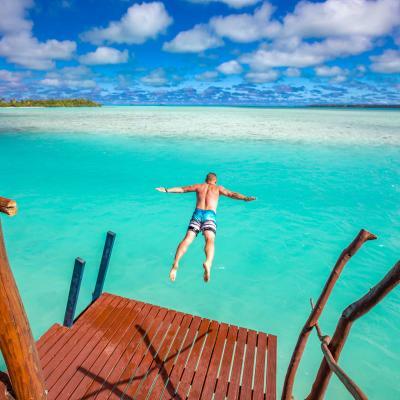 The Aitutaki Lagoon Private Island Resort (Adults Only) is a 2-minute ride by small private ferry from the main island of Aitutaki. 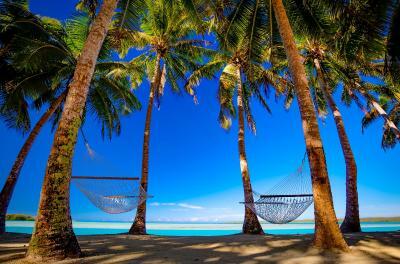 Rarotonga Airport is a 45-minute flight from Aitutaki. Το Aitutaki Lagoon Private Island Resort (Adults Only) υποδέχεται επισκέπτες της Booking.com από 16 Μάη 2012. 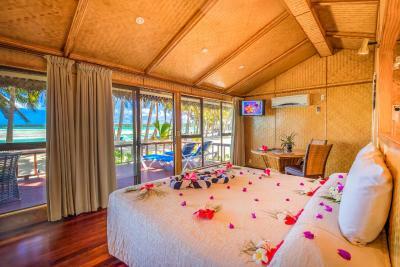 Located directly on the beach, these bungalows look out towards Aitutaki Lagoon and the main island. 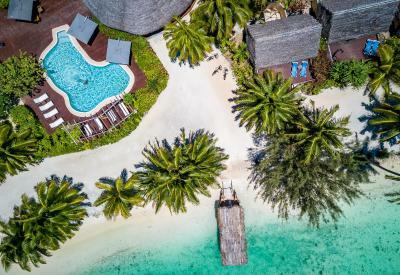 Featuring Polynesian-style outdoor shower, King size bed, in-room WiFi access, satellite flat screen TV, radio alarm clock, refrigerator, coffee/tea making facilities, hairdryer and cotton bathrobes, the beachfront bungalows also include their own private balcony. 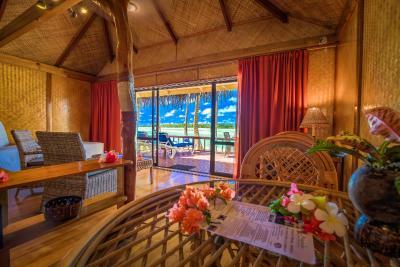 Located directly on the beach, these bungalows feature a 4-poster King bed, sitting area, Polynesian-style outdoor shower, in room WiFi access and a kitchenette with a microwave. 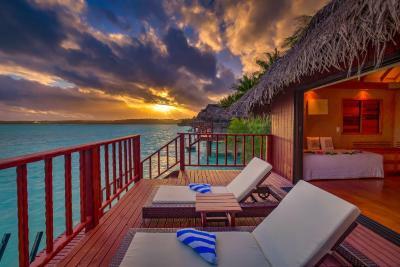 Also included is a satellite flat screen TV, radio alarm clock, refrigerator, coffee/tea making facilities, cotton bathrobes, and private veranda with sun loungers. 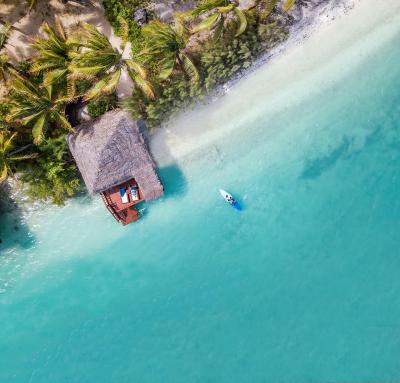 Situated directly above the lagoon's crystal-clear waters, the Overwater Bungalows feature a private balcony with direct access to the Aitutaki Lagoon, an outdoor shower on the lower veranda, air-conditioning, WiFi, tea & coffee making facilities and cotton bathrobes. 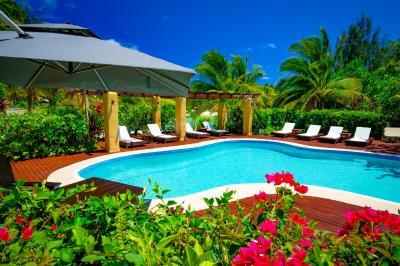 Also included is an open outdoor shower and sun loungers on the deck. 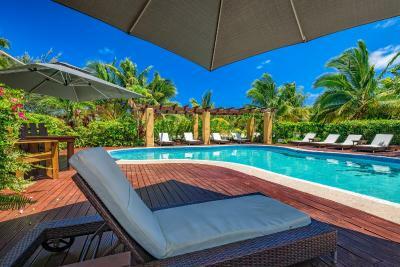 This villa features a private entrance surrounded by tropical gardens, a private pool, outdoor Jacuzzi, daybed , Polynesian style outdoor open shower and a full kitchen. Also included is a seating area, indoor/outdoor dining, air-conditioning, WiFi, tea & coffee making facilities, cotton bathrobes and sun loungers on your private deck. Please note that the price is based on 4 guests. Maximum occupancy is 4 guests. 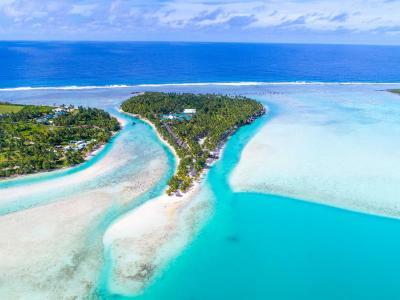 Διαβάστε πριν κάνετε κράτηση Το Aitutaki Lagoon Private Island Resort (Adults Only) δέχεται ειδικά αιτήματα - προσθέστε τα στο επόμενο βήμα! Όλα τα επιπλέον ενήλικες χρεώνονται NZD 95 ανά νύχτα για επιπλέον κρεβάτια. 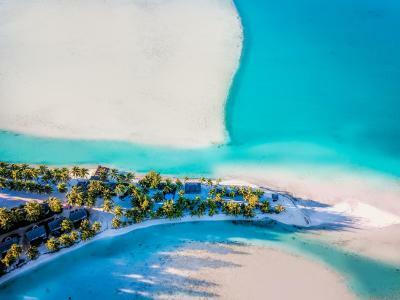 Αυτές είναι οι κάρτες που δέχεται το Aitutaki Lagoon Private Island Resort (Adults Only) και διατηρεί το δικαίωμα να δεσμεύσει προσωρινά ένα ποσό πριν την άφιξή σας. 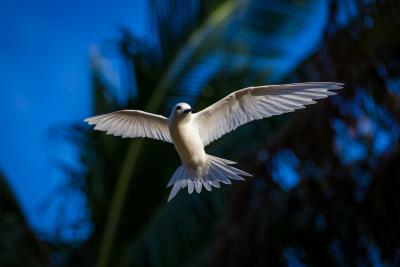 Please let Aitutaki Lagoon Private Island Resort (Adults Only) know your expected arrival time and flight details. You can use the Special Requests box when booking, or contact the property using the contact details found on the booking confirmation. Airport transfers are available. 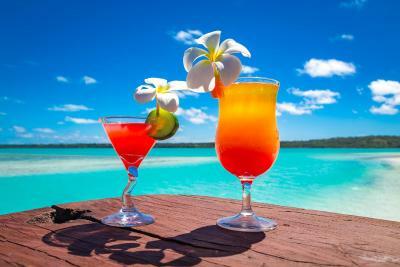 Please inform The Aitutaki Lagoon Private Island Resort (Adults Only) in advance if you want to use this service. Contact details can be found on the booking confirmation. 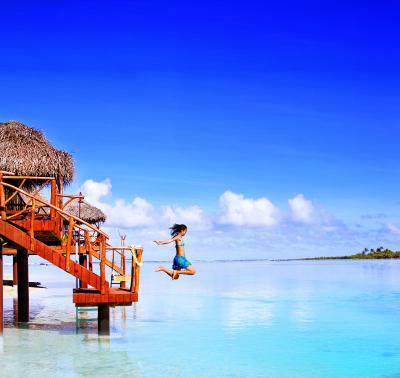 Please note that Aitutaki Lagoon Private Island Resort (Adults Only) cannot accommodate children under the age of 16. 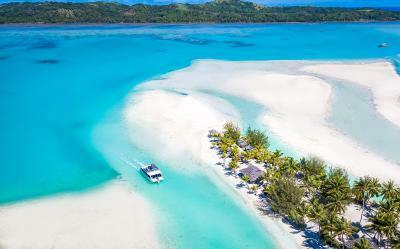 Παρακαλείστε να ενημερώσετε το Aitutaki Lagoon Private Island Resort (Adults Only) εκ των προτέρων σχετικά με την αναμενόμενη ώρα άφιξής σας. Μπορείτε να χρησιμοποιήσετε το πεδίο για Ειδικά Αιτήματα κατά την κράτηση, ή να επικοινωνήσετε απευθείας με το κατάλυμα, στα στοιχεία επικοινωνίας που αναγράφονται στην επιβεβαίωσή σας.